A highly rated TV Mounting Installation service near me for Indianapolis, Fishers, Greenfield and surrounding areas. So, whether you purchase an LCD, LED, Plasma or “curved screen” television, i can professionally install it for you! The mounting bracket is securely mounted into studs. We use a “UL certified” wall mount. Make sure the TV is level. Clean screen with non abrasive cloth. 1. 6 or 10 foot HDMI cable and fixed MOUNTING BRACKET. 2. Determine the best position for your TV on the wall. 3. Mount a fixed bracket to wall, hang TV and level. 4. Connect the cables and hide in a vinyl channel. Picture shows the wires hidden in a vinyl track. 1. 6, 10 or 15 foot HDMI cable and fixed MOUNTING BRACKET. 5. 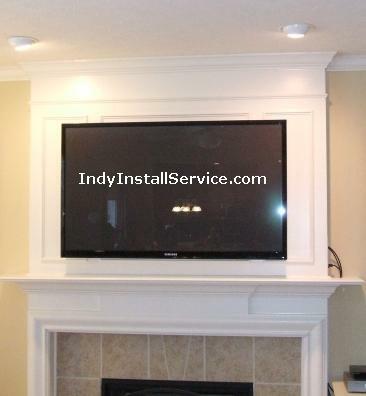 Install bracket on the wall, hang TV and make sure it’s level. 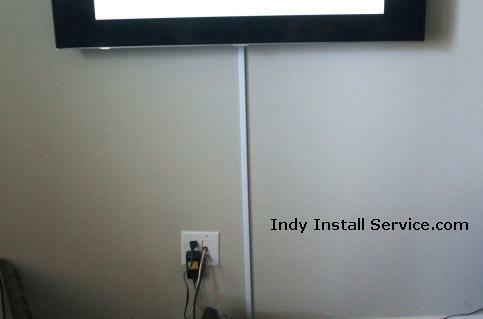 $70.00 for drywall surfaces, YOUR bracket and cables, wires NOT hidden. $115.00 for drywall surfaces, MY bracket and 1 HDMI cable, wires NOT hidden. $369.00 for drywall surfaces. Wires ARE hidden. Includes one HDMI cable and fixed MOUNTING BRACKET. Any drywall repair that may be needed is included in the cost. $149.00 for brick or stone surface. Wires NOT hidden. Includes one HDMI cable and fixed MOUNTING BRACKET. TIP: If possible, have your TV checked before leaving the store. If not, at least plug it in and turn it on when you get home. You want to check the screen for damage BEFORE it is mounted! 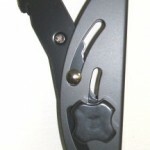 2.Tilting bracket or Fixed? A tilting bracket just means that your TV can be tilted downward. As a result, it offers more flexibility. Especially when mounted higher on the wall or above your fireplace. 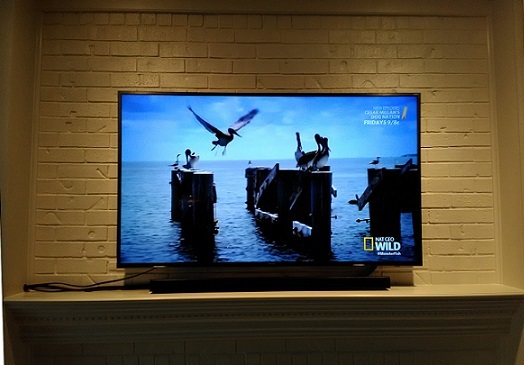 A fixed bracket does not allow any tilt adjustment but some do allow the option to move up or down a couple of inches in case you want to change the height of the TV. 3. You don’t have to purchase “high end” HDMI cables. So, why pay $40.00 when a $10.00 cable will do the job? The “super slim cables” are a little more expensive but are really nice. They are easier to position and put less strain on the HDMI ports. If your cable box doesn’t have an HDMI port, use the DVI port. If a DVI port is not there, use the component jacks (green, blue and red for video, red and white for audio). Coax is your last resort, since it gives the poorest signal. 4. If you mount the TV too high, viewing comfort could be affected. Ok, here are two more tips! 5. Do you have a lot of light in the room when watching television? If so, LED units may work better for you than a plasma. 6. Are you tired of using multiple remotes? If you answered yes, you can program your ATT U-verse remote or Comcast remote or Dish Network remote or Direct TV remote to control several devices! Warranty on the labor is 3 years. Read more customer reviews on RateLobby! 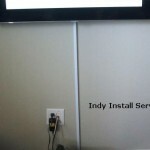 contact Indy Install Service Today!